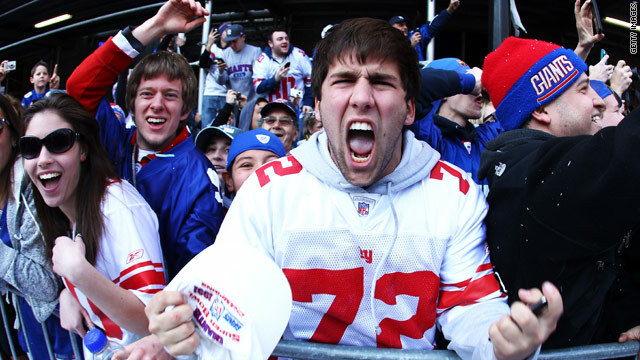 The atmosphere in New York was full of excitement after the Giants won the Super Bowl. American football is serious stuff for sports fans. Sebastian Castro had a bit of fun in Times Square with the excited crowd. Richard Roth met some fans in Lower Manhattan who were still excited about the win days later. Here he is talking to fans and dodging bathroom tissue.